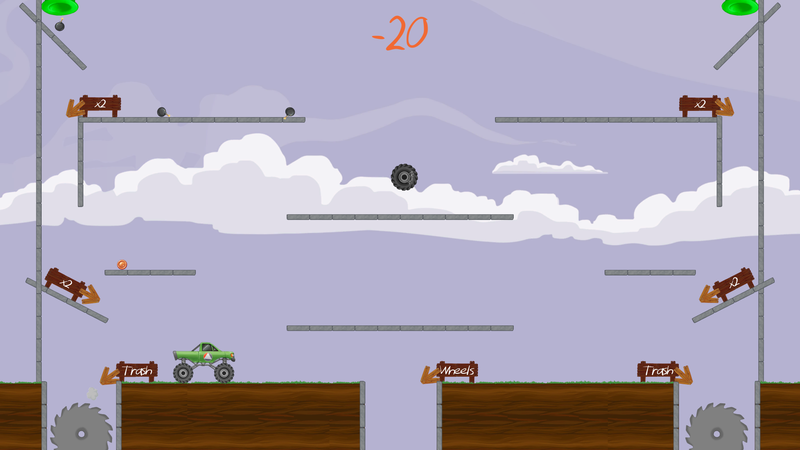 Free to Play - Play BeWHEELdering directly in the browser. (Chrome or Firefox recommended - the game will run in other browsers, but it does not run perfectly in all of them). 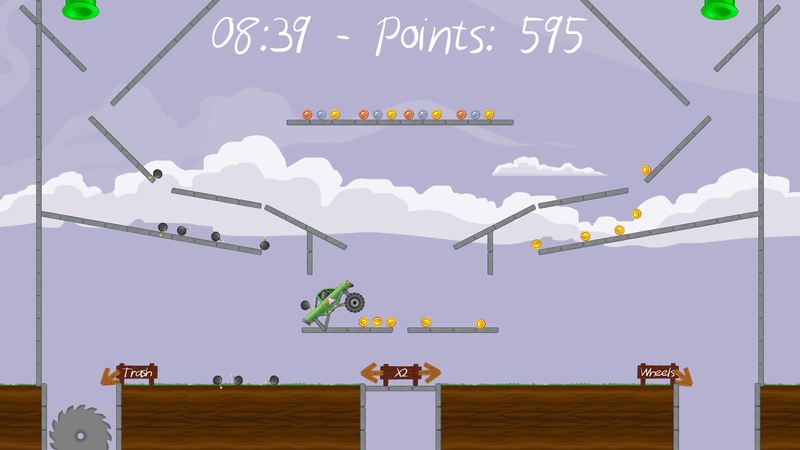 Free to Play - Download BeWHEELdering for Windows. (Extract the .zip file and run the .exe). 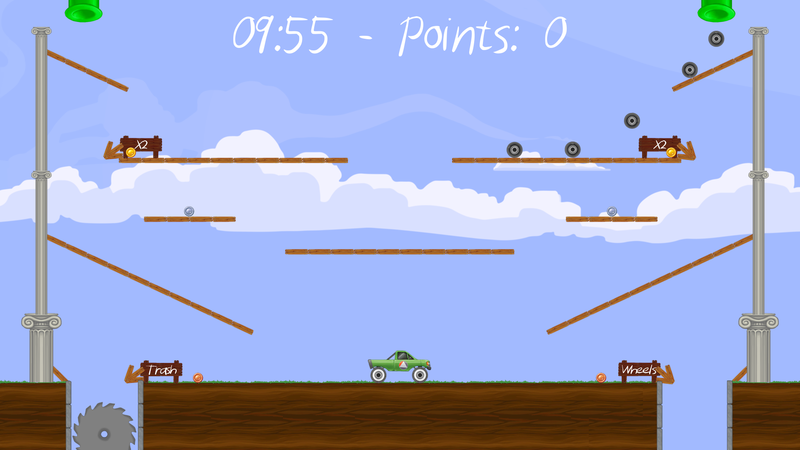 Buy for Android - Play BeWHEELdering on the go! Who doesn't want to sort wheels, while they're out and about? 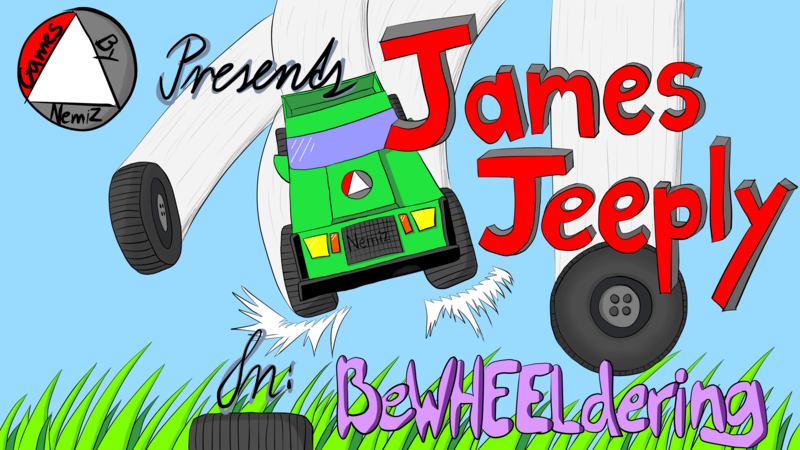 BeWHEELdering is a relatively simple, yet somewhat challenging 2D arcade-style sorting game, in which you control a Jeep driven by James Jeeply, who has been tasked with sorting wheels into the correct Wheel Sorting Outlet. Correctly sorted items, give points. Incorrectly sorted items, take away points. If James happens to correctly sort a wheel type that is better than the ones currently fitted on his Jeep, they will be upgraded accordingly! While Grounded: Moves the Jeep left or right. In The Air: Rotates the Jeep. Reset car position (if stuck). (Q is preferable when playing in fullscreen to avoid exiting fullscreen). The tables below show the 20 best players registered in BeWHEELdering in each level.